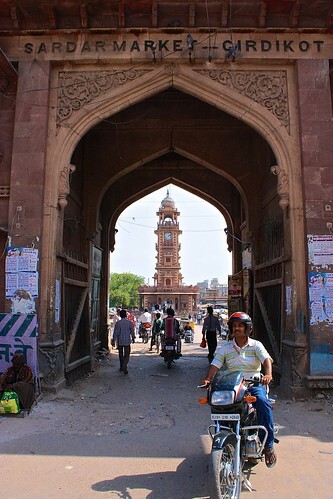 We didn't originally have Jodhpur on our list of cities to see in India, but when mom decided to splurge for a private car from Jaisalmer to Udaipur, we figured we might as well grab a bite to eat and check out the blue city over lunch. 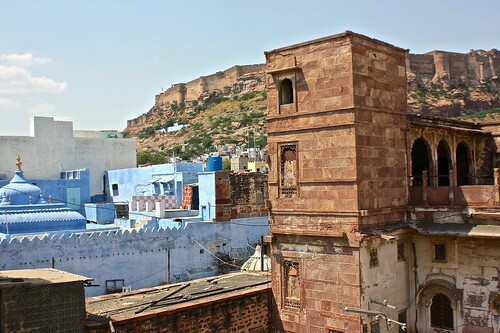 Just like Jaipur, you had to struggle a bit to find the blue here, but climbing up the terrace at Nirvana Restaurant, where we had lunch, offered some good views of both the blue houses and the famous Mehrangarh Fort. Why blue? It was the favorite color of the then-King's wife. If you want to immerse yourself in blue, that's the place to stay. Nirvana was in itself an interesting place to eat, as it's set on the property of an operating Rama temple and the dining room is covered in elaborate (and sometimes scary) scenes from the Ramayana. We had a quick stroll after lunch through the bazaars and under the Clock Tower, which were buzzing with locals in all sorts of colorful clothing haggling over saris, mangoes, and bangles. 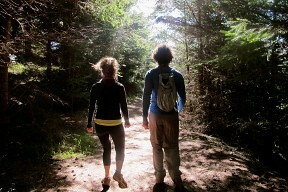 Overall, a worthy and atmospheric stop! 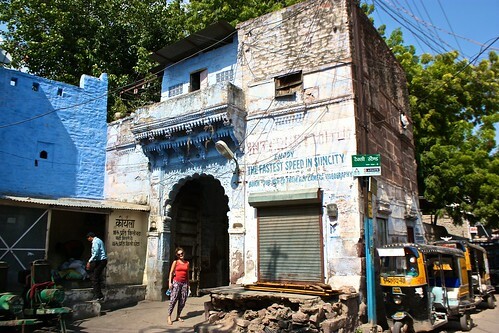 Interested in seeing snapshots of the blue city without paying for a plane ticket? 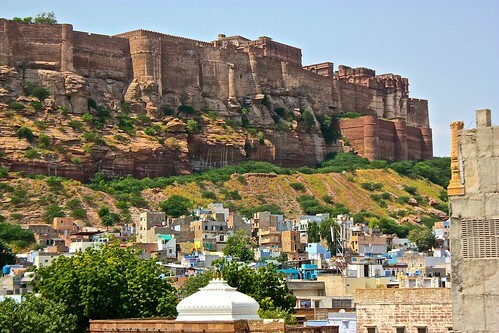 Check out our Jodhpur photo tour. 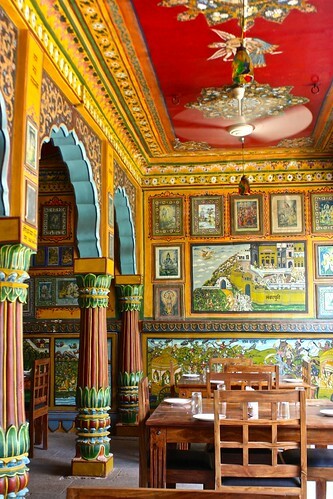 You can also share your tips for budget travel in Jodhpur by leaving a comment!